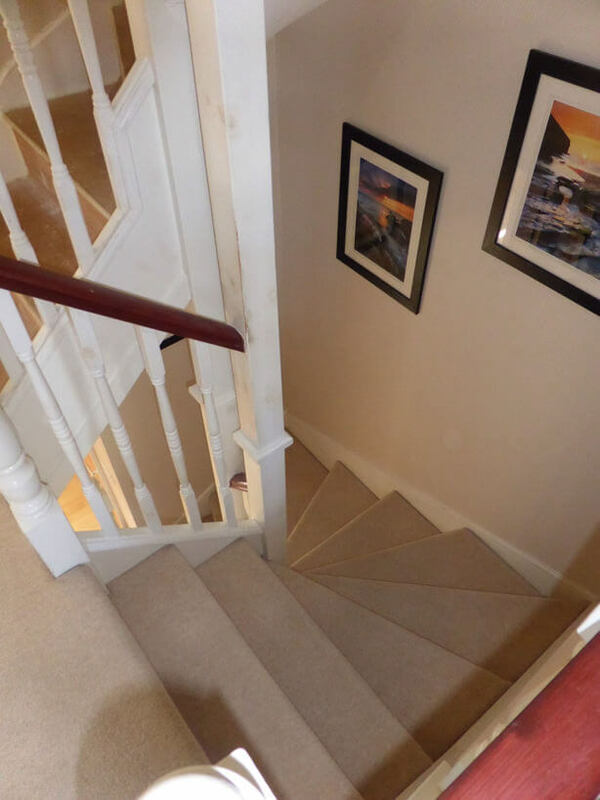 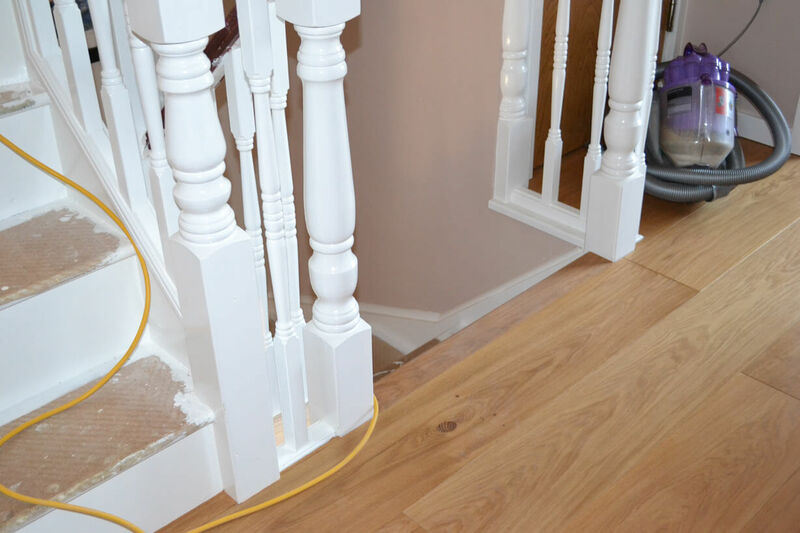 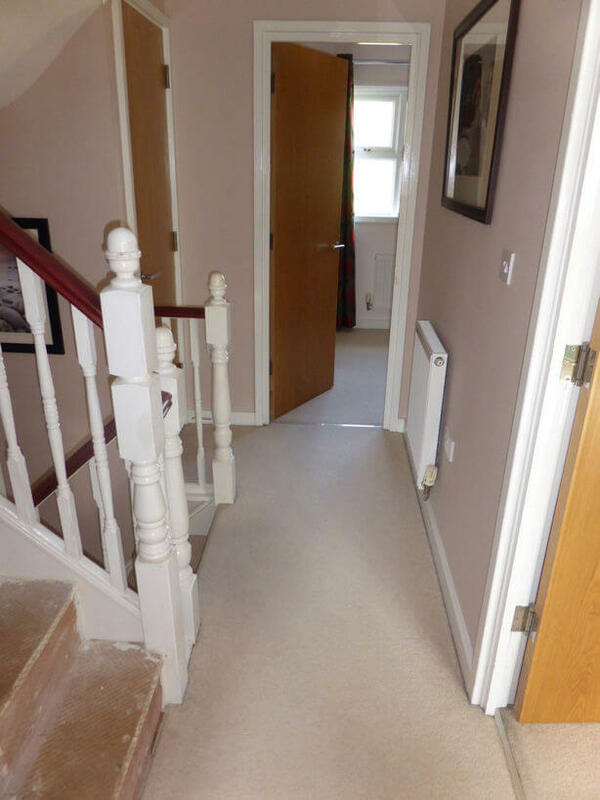 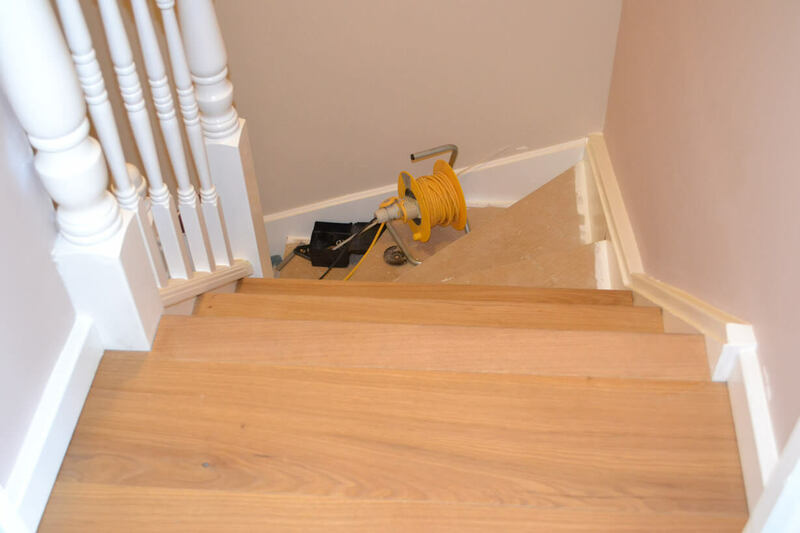 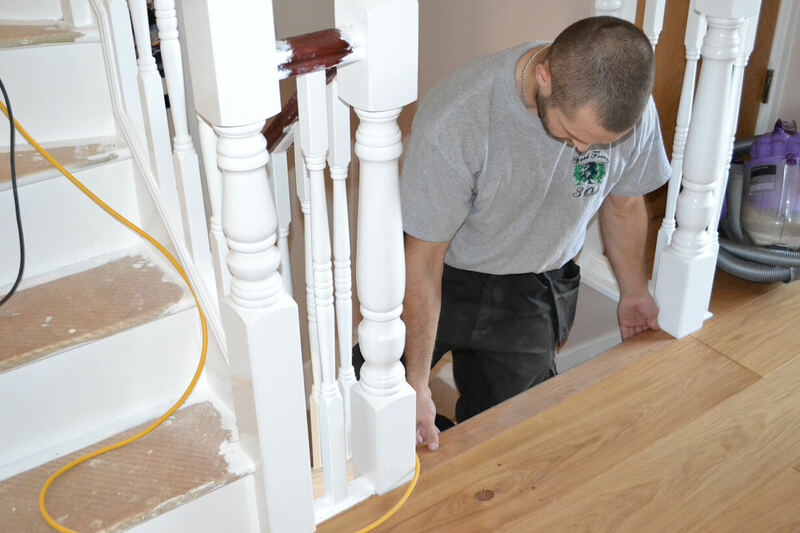 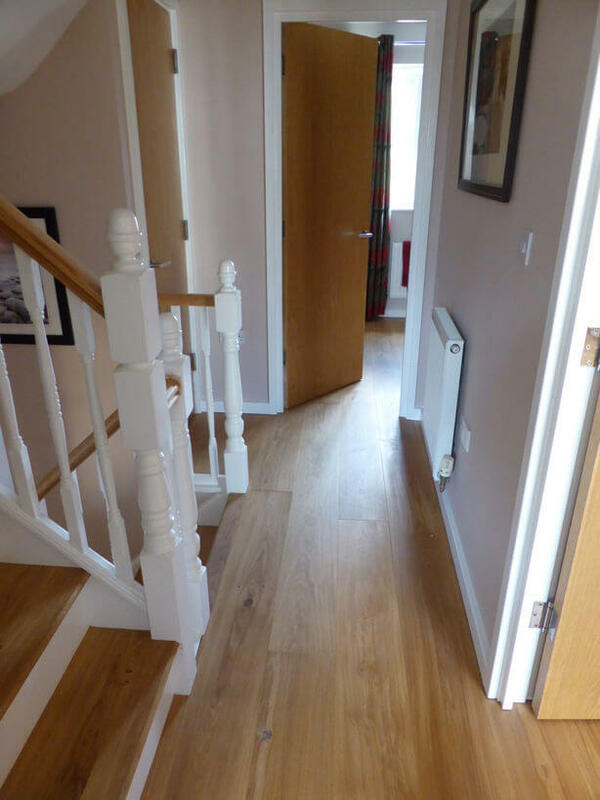 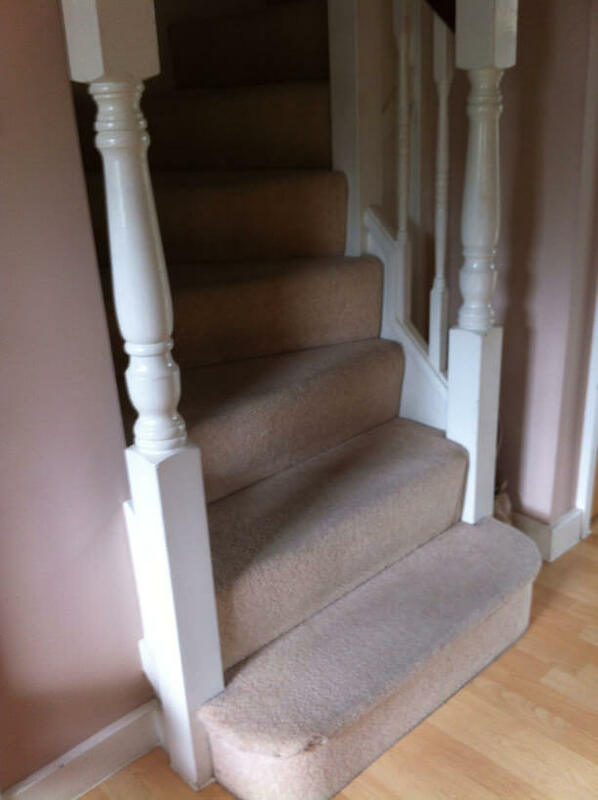 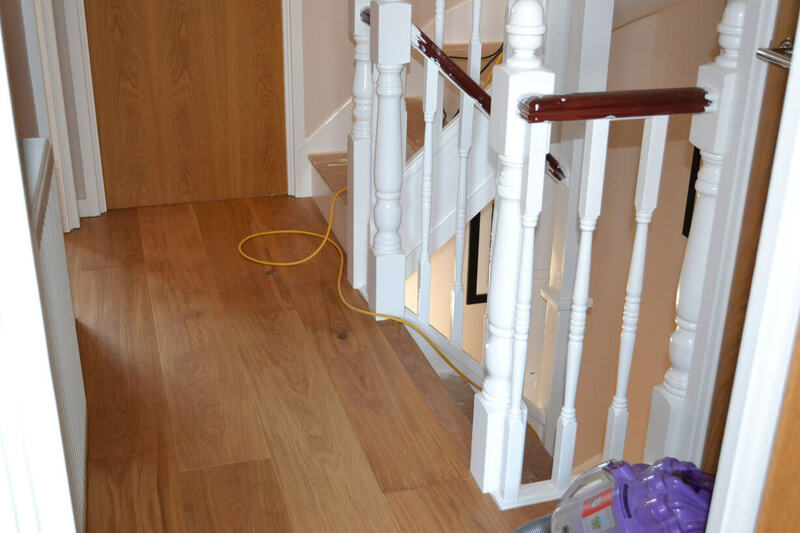 The original carpets were looking tired and because the landing and hallway were being laid with new Engineered Oak flooring it made sense to re-furbish the staircase too. 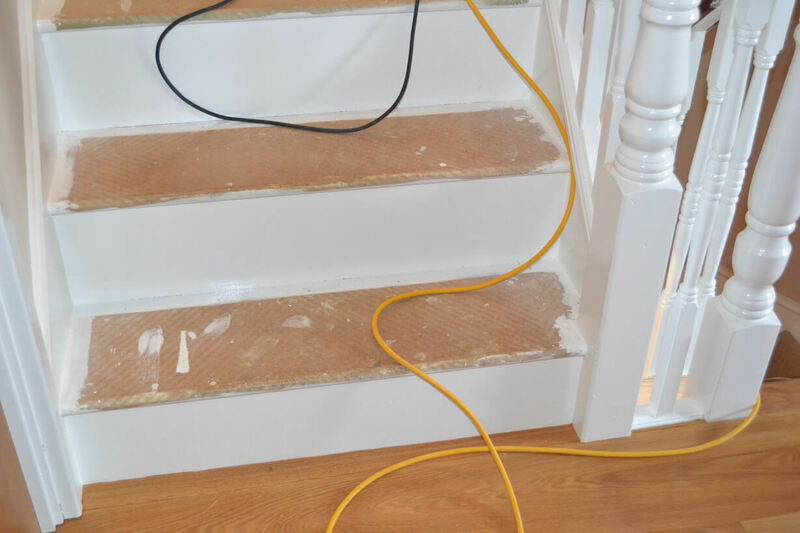 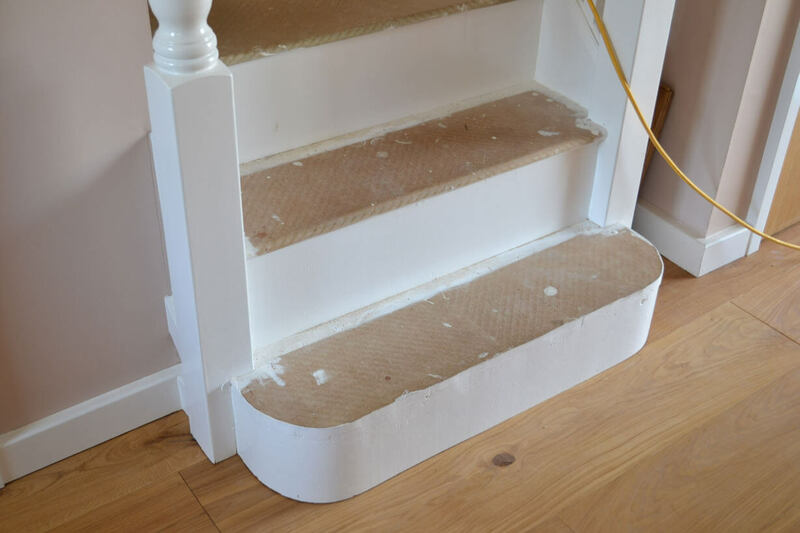 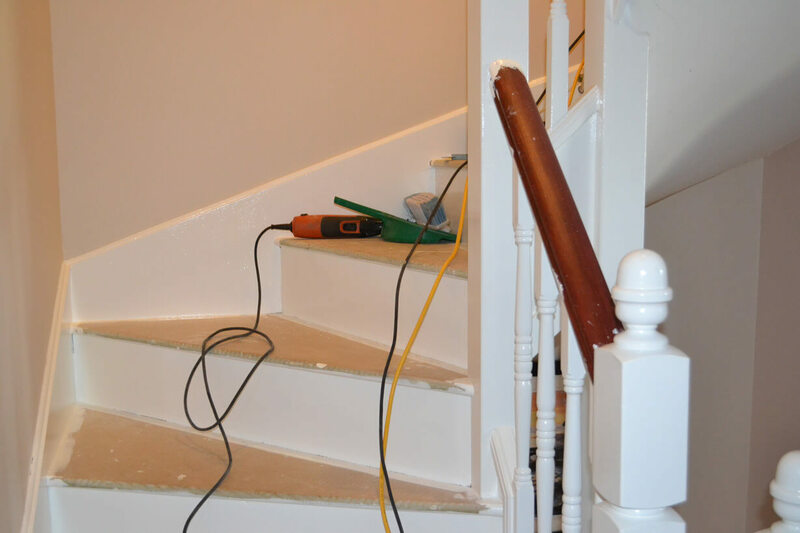 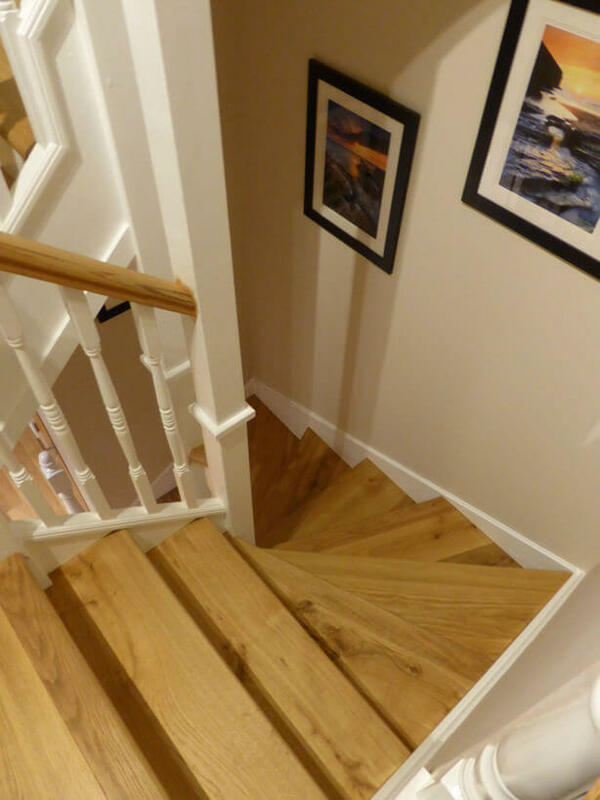 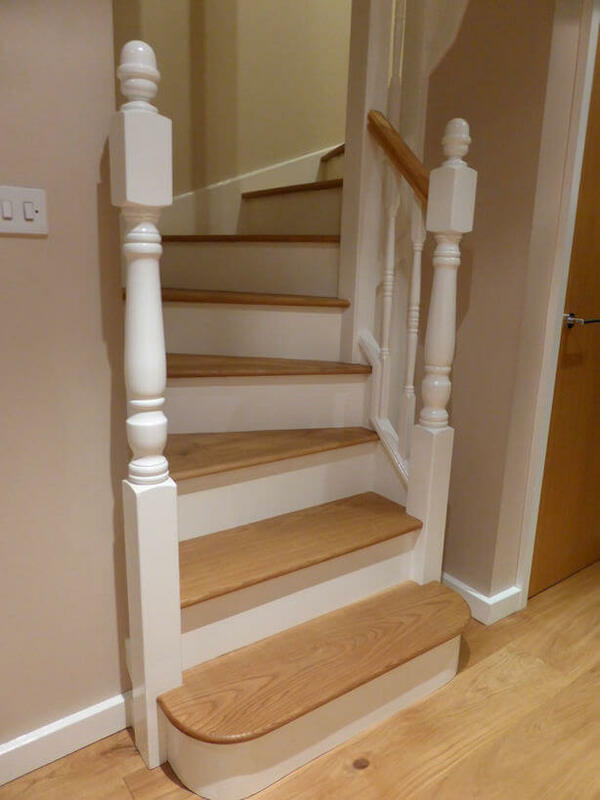 The clients had been on our website and seen a photograph of one of our earlier staircase renovations in Benson, Oxfordshire, they liked the white risers and Oak treads and wanted it in there own home too. 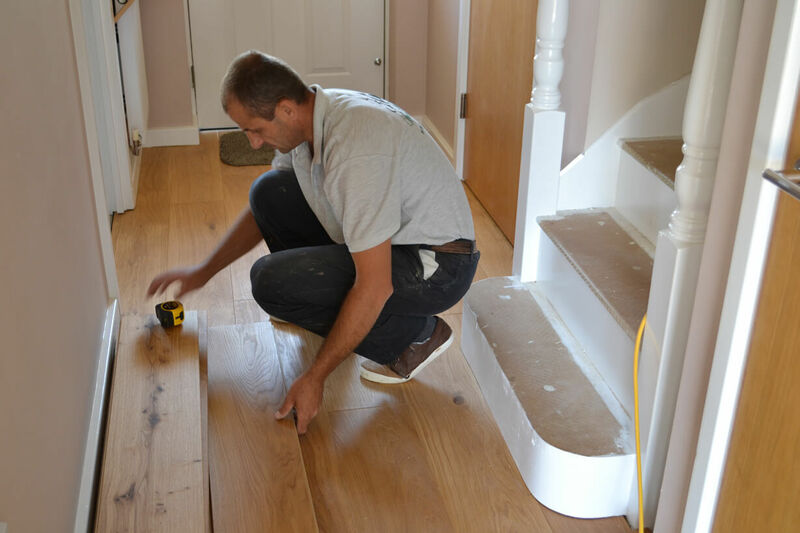 The treads had a solid oak nosing glued to the front edge that was then sanded and blended to achieve a uniform, one piece look. 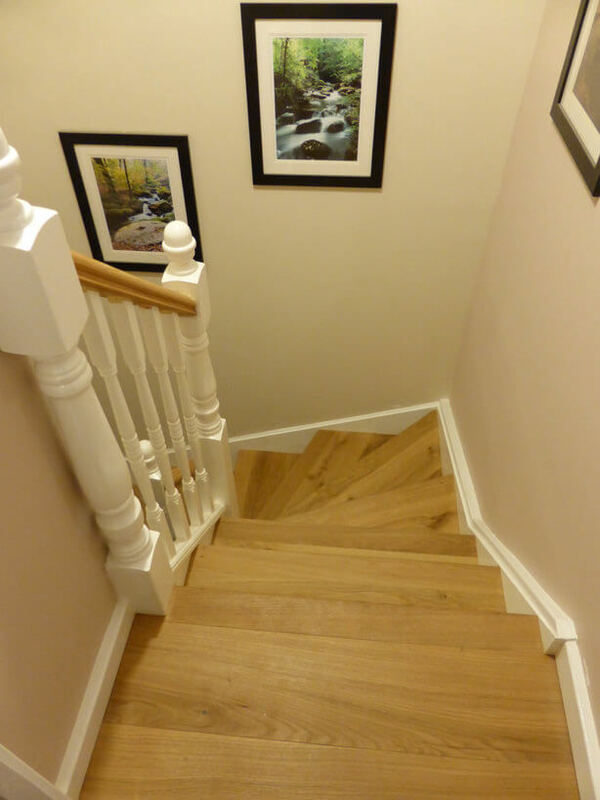 The Double Bullnose bottom tread was custom made out of solid European Oak. 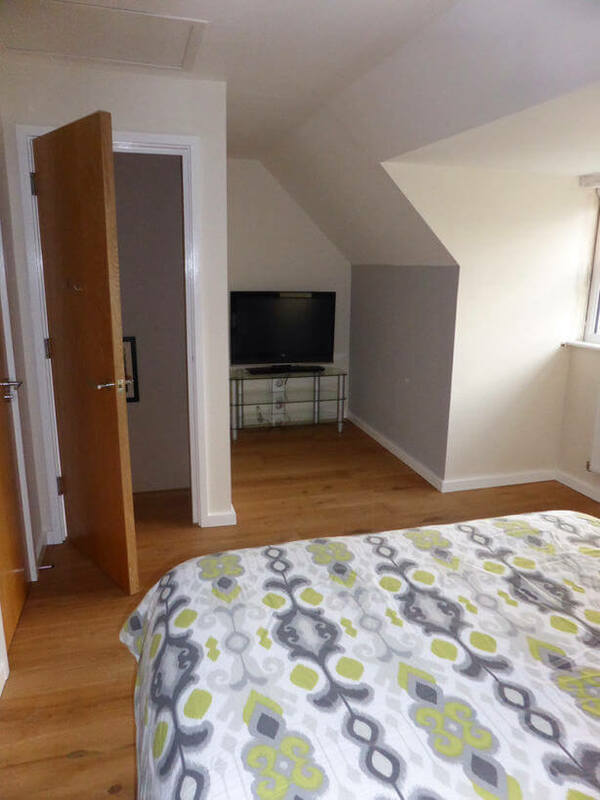 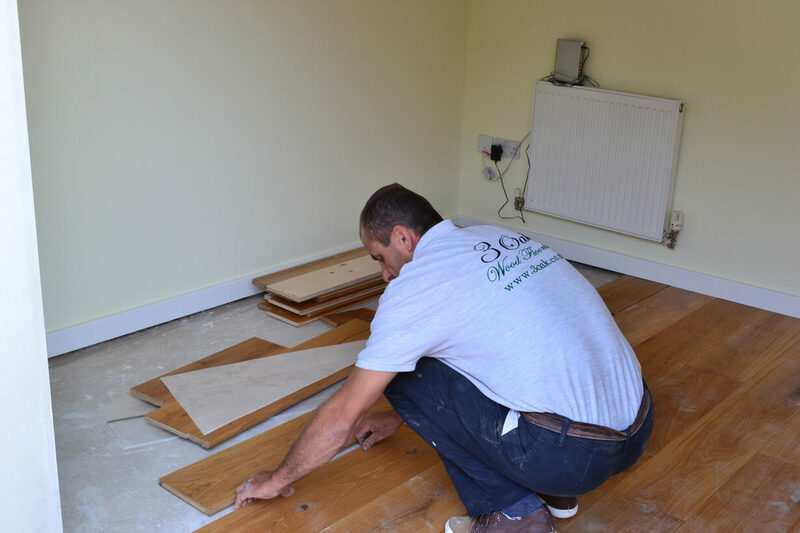 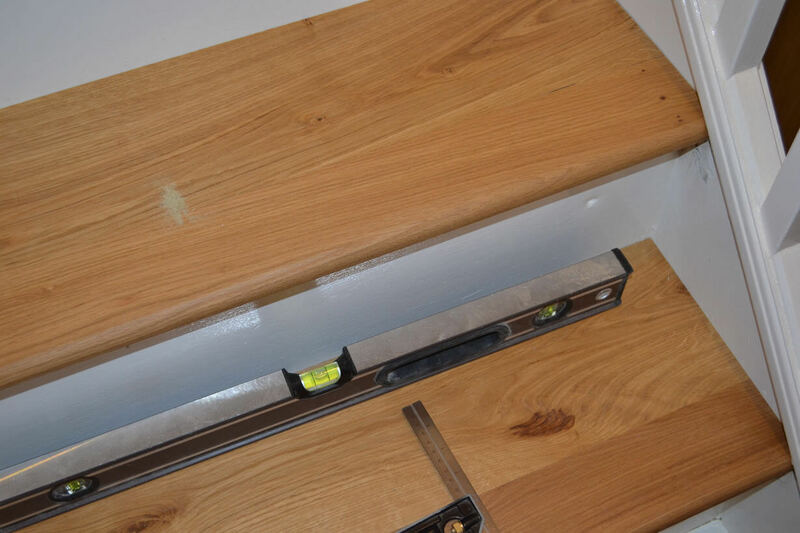 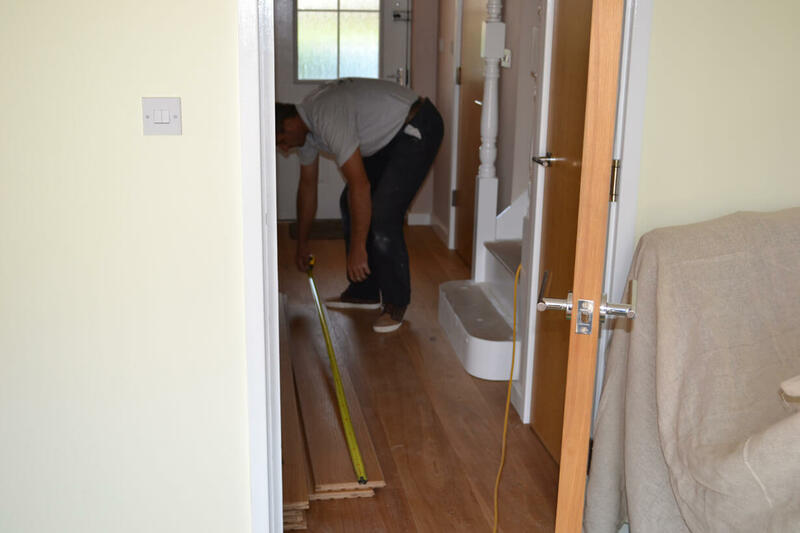 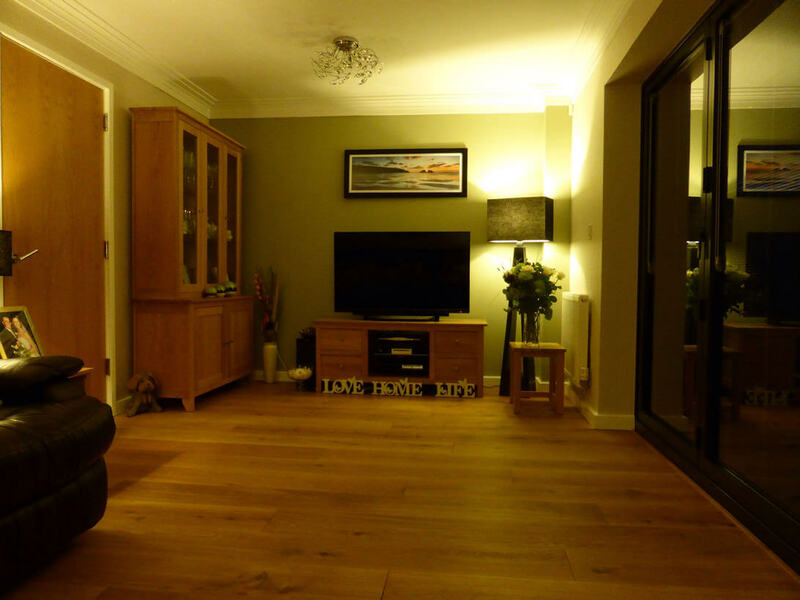 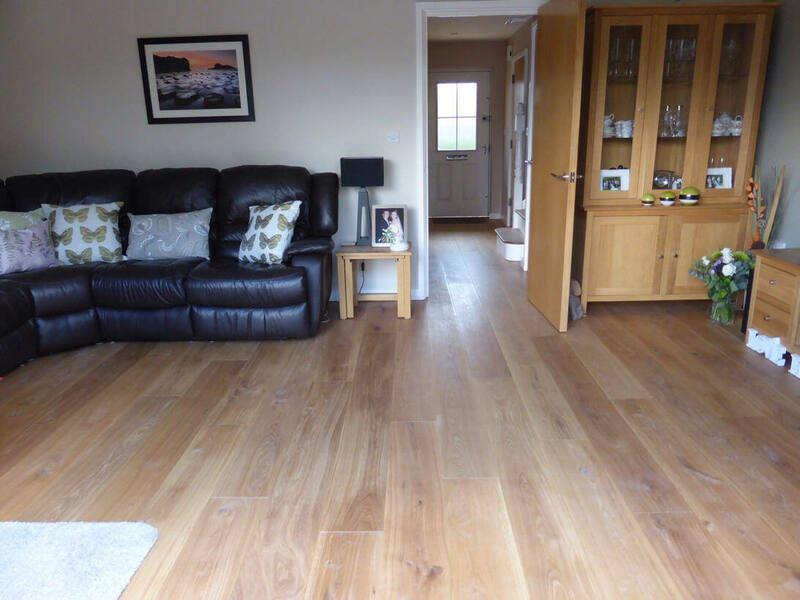 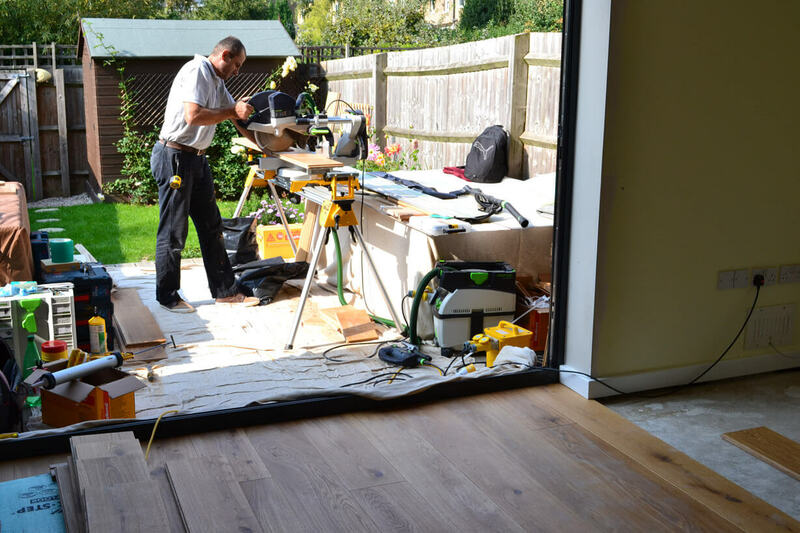 The Engineered Wood Flooring we used was our 3 Oak construction, Natural Oiled Oak, 210 mm x 22 mm. 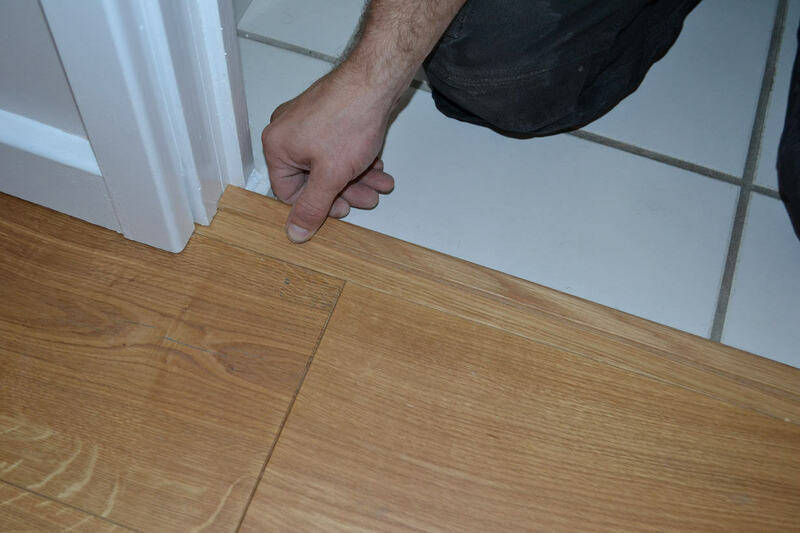 We used Sika flexible adhesive to bond the boards to the sub-floor.